Friends, please right click on this FREE Stencil template template and select ‘Save As’ to save it. You can take its printout afterwards on an A4 size paper. In case of any issues you can write to us at [email protected]. We are always happy to answer any of your query. FREE Download : Stencil Template of DIY Flower Vase! FREE Download : Stencil Template of DIY Lamshade Made with Cardboard & Mobile Charger! 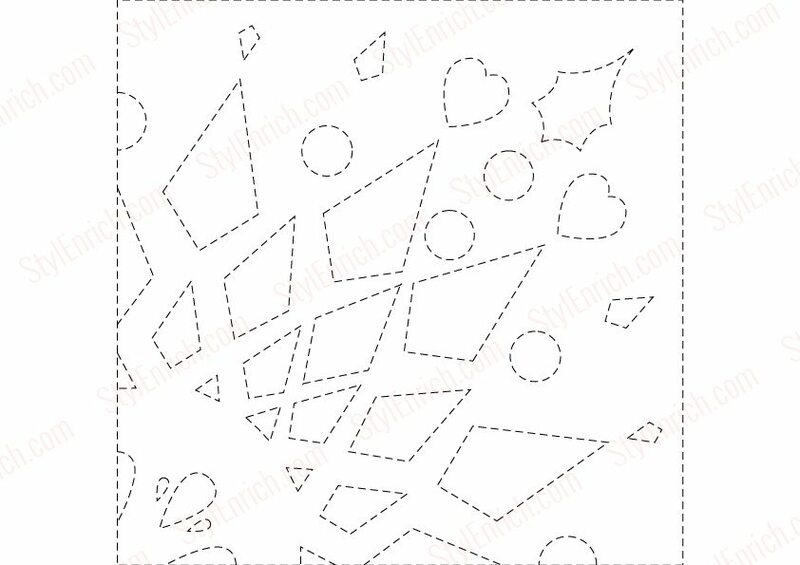 FREE Download : Stencil Template for DIY Flower Craft! FREE Download : Stencil Template for Cute Peppa Pig Crafts for Kids!